Italian Organic Tomatoes are pureed & blended with our own recipe of herbs & spices to create a wonderfully rich Tomato Ketchup. Organic Tomatoes (68% ), Organic Unrefined Sugar (17%), Organic Spirit Vinegar (9%), Maize Starch*, Sea Salt*, Organic Onion Powder, Organic Black Pepper, Organic Allspice, Organic Cloves, Organic Bay, Organic Garlic Powder. All organically grown unless asterisked. Partially reconstituted Organic Tomato Puree (69%), Organic Demerara Sugar, Organic Spirit Vinegar, Maize Starch*, Sea Salt*, Organic Onion Powder, Organic Black Pepper, Organic Allspice, Organic Cloves, Organic Bay, Organic Garlic Powder. All organically grown unless asterisked. Not suitable for peanut, other nuts and sesame allergy sufferers. 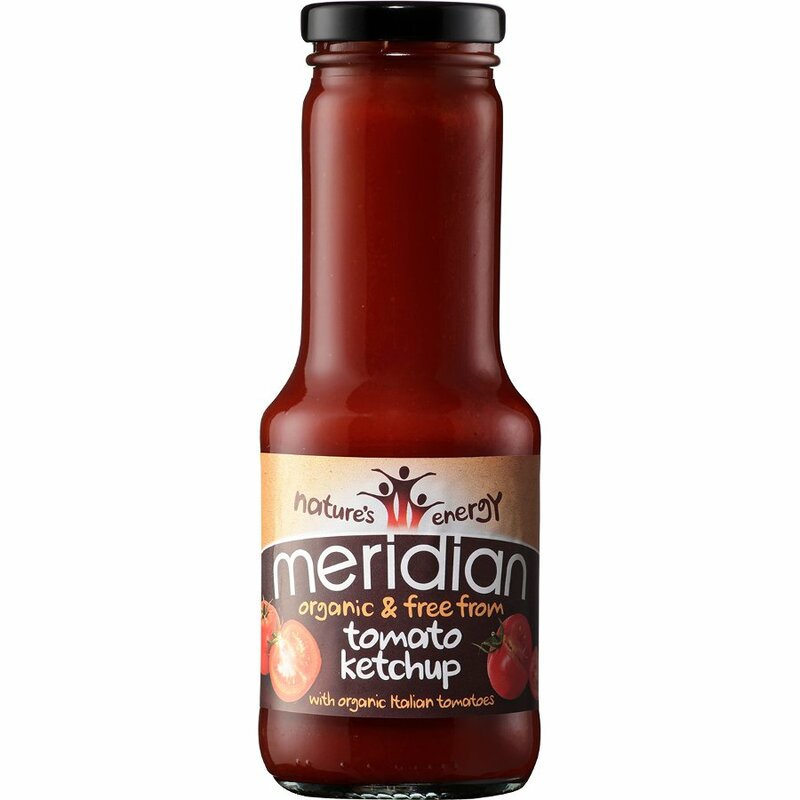 The Meridian Organic Tomato Ketchup - 285g product ethics are indicated below. To learn more about these product ethics and to see related products, follow the links below. really yummy ketchup, yes please much bigger glass bottles please! This is The Best Tomato Sauce EVER!! will never buy any other well know brands again … cos they are SOOOO Vinegar sharp yuk! Maridian is smooth & Flavoursome, I'm buying a case this time, I agree with another reviewer,Bigger Bottles please. Q: Hi, I have a very sore Tongue, can you tell me how vinegary this sauce is please? ?